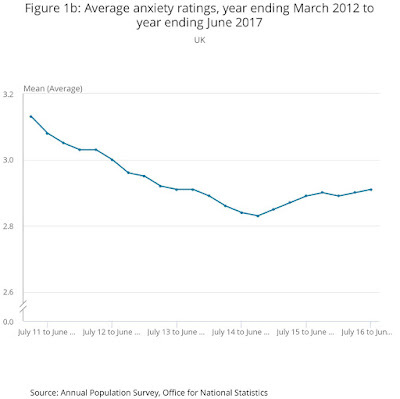 The Office for National Statistics (ONS) recently released its latest figures on personal wellbeing in the UK*. 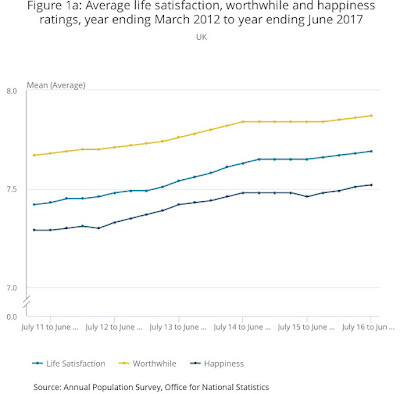 We now have five years of continuous data since this national “happiness survey” was launched in 2012. It’s also the first survey to be based on a full year of data since last year’s EU referendum result. Hence the terrible pun in the title above – sorry! · Overall, how satisfied are you with your life nowadays? · Overall, to what extent do you feel the things you do in your life are worthwhile? · Overall, how happy did you feel yesterday? · Overall, how anxious did you feel yesterday? ONS commentary offers some insight into these trends. People’s wellbeing is affected by socio-economic factors such as employment and income, but also by other issues such as health and personal relationships. More in-depth analysis is also produced by the What Works Centre for Wellbeing (https://www.whatworkswellbeing.org). 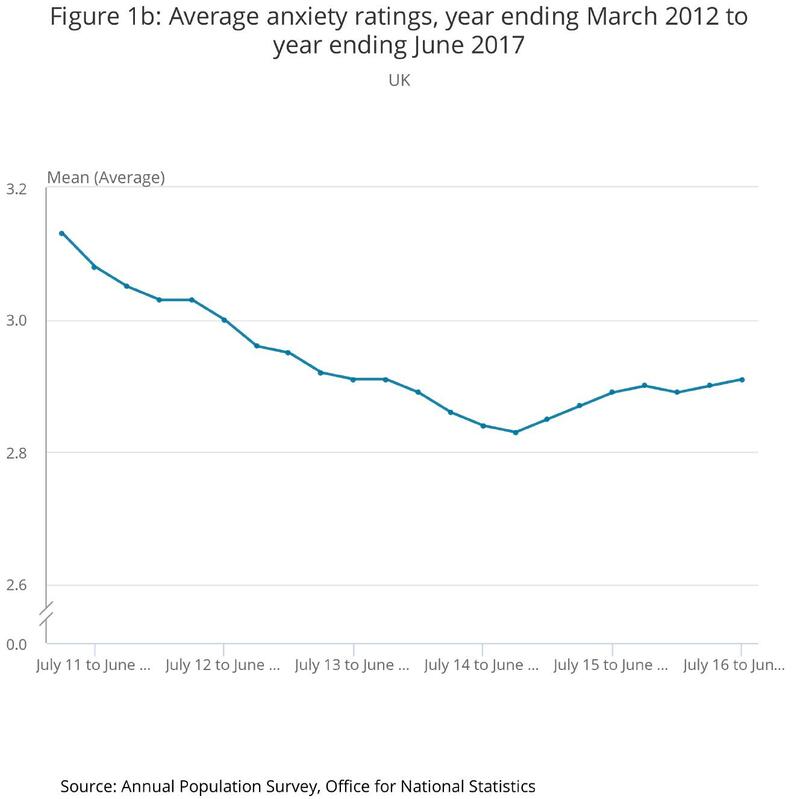 The ONS report also mentions Brexit, and it’s tempting to interpret trends in this context. 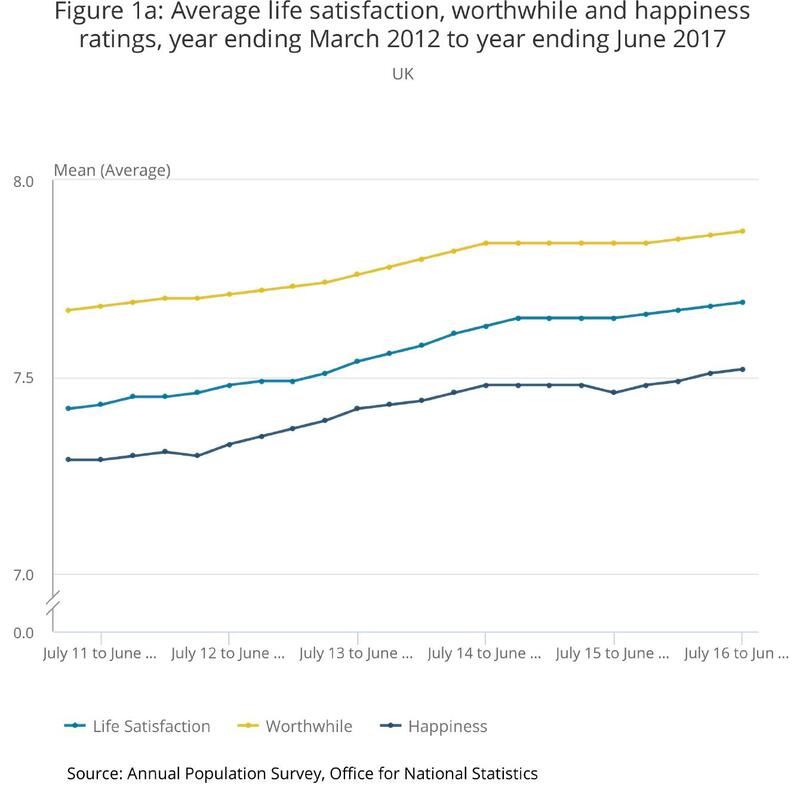 Certainly, ONS data provides no evidence that the Brexit vote has made us less happy as a nation. But the data doesn’t prove the contrary either. Firstly, the exit itself hasn’t happened yet; secondly, even if it had, the survey alone doesn’t prove cause and effect because of the many other factors in play. So the jury is out on this one – and I believe is likely to remain so for many years to come! But for me there is a more fundamental question. Why does so much of the continuing argument around Brexit focus on “the economy”? Surely personal wellbeing – how satisfied we are with our lives – is what really matters. Sure, money has an influence on happiness, but it’s not the only thing. For most people, it’s not even the most important thing. And indicators of “the economy” generally measure regional or national wealth, not how fairly that wealth is distributed or how it affects individuals. I believe that continued work to understand trends in wellbeing, and how we can influence them, is a far better use of time and brain-power than arguing about Brexit. I’m a great believer in understanding different points of view. It’s a vital part of evaluation, and not bad advice for life too. As Robert Burns said “…to see ourselves as other see us”. Different perspectives affect the way charities work as well. Over time, I’ve formed a view of the contrasting ways in which funders, charities and beneficiaries themselves can see things. I’m talking mainly about smaller charities that work with people, and that receive funding from commissioning, charitable trusts or sponsorship (as opposed to public donation). As an evaluator, I’m sometimes asked to provide independent evaluation of a specific project or activity, to provide assurance or validation to the funder. 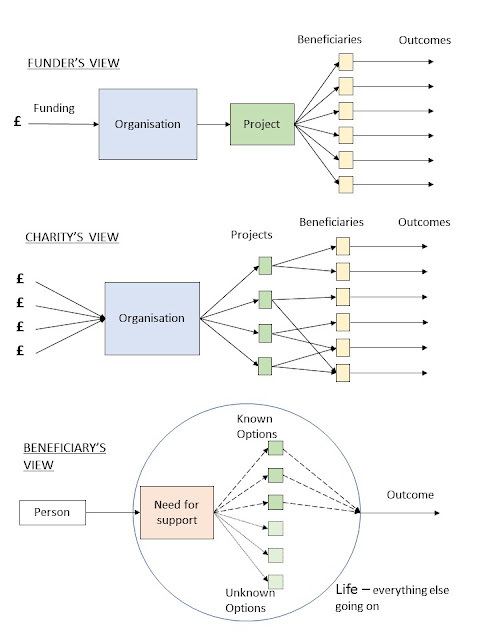 That funder’s perspective, put simplistically, can be summarised by first diagram. It provides funding to a charity, which then carries out a project, which in turn benefits the people it works with. In the old days, this was measured by the number of people seen, number of contacts, or even just opening hours – outputs, in other words. Increasingly (and quite rightly), funders now want to know about outcomes – what different the project has made to its beneficiaries, and possibly to others as well. All well and good, but the charity itself may have a different perspective. It’s rare for a charity to have a single source of funding, or indeed to be running just one project. Many draw funding from a range of different sources and run several projects or activities, sharing some staff and central functions between them. Of course, they can account for expenditure to different funders, but accounting for outcomes may not be so simple, particularly where beneficiaries are part of more than one project. Here the question of “attribution” arises: what outcomes, or how much impact, comes from each project? But there’s a further perspective still, that of the beneficiary him/herself – the person who needs help. It’s not uncommon for that person to have a choice of support services, from different organisations (both voluntary and statutory), and there may even be further options that they are unaware of. They may well be receiving support from more than one organisation, let alone more than one project. Not only that, but all this takes place in the context of real life, where events outside the control of any service can have a big impact on the person’s wellbeing. Assessing the outcome of any one piece of this ‘jigsaw’ now becomes even more problematic. So, what’s the solution? Firstly, I believe that third perspective must be the starting point. It’s why we’re doing this, surely. Rather than “what outcomes does the project achieve?” a better question might be “what life changes do people experience, and how does the project contribute to this?”. This may need some change of mind-set from funders and charities: less of “our funding” or “our charity”, more of “our contribution to better outcomes”. There’s much to be done, but I do see signs that this need for collaboration is being recognised. Social Return on Investment (SROI) captures this thinking, as do ideas like shared measurement and impact management. If we maintain this momentum, I believe there’s a future where charities, working together and in partnership with funders, can achieve even greater social impact and value. Last year, “£350 million per week to the EU” hit the headlines – not to mention the side of a bus – as the cost of the UK’s contribution. The Remain camp was quick to rubbish this figure as it failed to take any account of what the UK gets in return for this. But the figure still sticks in people’s minds. More recently, the Remain lobby (or more accurately, the pro-migrant lobby) hit back with a figure of £328 million per day as the contribution that migrants make to the UK economy. Unfortunately, this figure is equally spurious. It’s based simply on dividing UK GDP by the proportion of working people who are non-UK born. Apart from earnings being just one aspect of GDP, this assumes that none of these jobs could be done by someone else, for example a UK-born worker who is currently unemployed. Far from proving a point, the statistic risks pandering to the “foreigners taking our jobs” brigade. Don’t get me wrong; I believe the UK economy (and society as a whole) gains a huge amount, in diversity and skills as well as labour, from non-UK born workers. 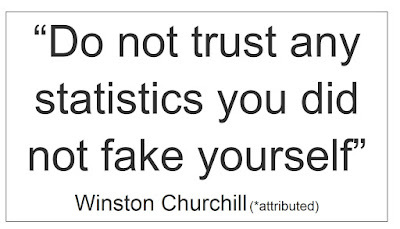 But fatuous statistics are certainly not the way to prove it. So where does this rubbish come from? I look on it as an aspect of our current “post truth” world, where the most bizarre claims can achieve credibility simply by being repeated often enough. I blame a combination of social media and the acquiescence of mainstream media, both of which seem to prioritise impact over integrity. That plus the fact that anything with a number attached sounds authentic, even if in reality it’s completely made up. Therein, in my view, lies a problem for serious analysis, such as Social Return on Investment (SROI). This is a rigourous methodology for establishing social value, hence can be time-consuming and costly to get right. Why would you want to bother with this when you can virtually make it up and grab bigger headlines? It goes without saying that a lot of serious academic research is also at risk from the same problem. I wish I had an answer to this, but it isn’t easy. We need somehow to educate the public out of the mindset that believes that figures = facts, and into a healthy scepticism of anything the media tells them. In the meantime, I think I’ll claim that the value of my consultancy is 500 times the price my clients pay, and hope it goes viral! 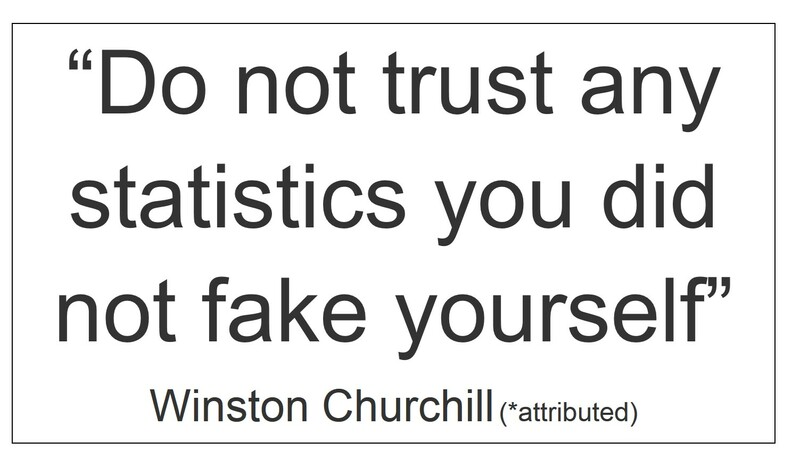 *PS: That quote in the text box is widely attributed to Churchill, but I can find no evidence that he actually said it! Impact Management - New or Recycled? Perhaps I’m getting old, but I have this feeling of déjà vu. It’s been prompted by the launch by Access – The Foundation for Social Impact – of their new Impact Management Programme. (See http://accessimpact.org/ for details.) The principle is that charities and social enterprises should not just be measuring their impact and social value, they should actively work to increase it. That’s why, in over 25 years, I’ve never written an evaluation report that doesn’t include recommendations – and I’m sure I never will. Of course, recommending change and making it happen are two different things. So, quite rightly, the Impact Management Programme is looking for skills in facilitating culture change, leadership development, planning, and product/service development from the consultants who will act as its support providers. But that’s really no different from change and improvement for other purposes. If you’re looking to improve customer service, increase profit margins or even save the environment, managing change involves much the same thing – leadership, culture, planning, processes/systems and so forth. Hence, for example, approaches such as Lean and Systems Thinking are primarily process-based, but still need ‘soft skills’ around leadership and change management to implement them. What I’m saying is that to pursue any aspect of improvement you need to be able to (a) measure the outcomes you achieve and (b) build and measure your capability to enable improvement. To paraphrase an old political cliché: “Tough on results, tough on the causes of results”. 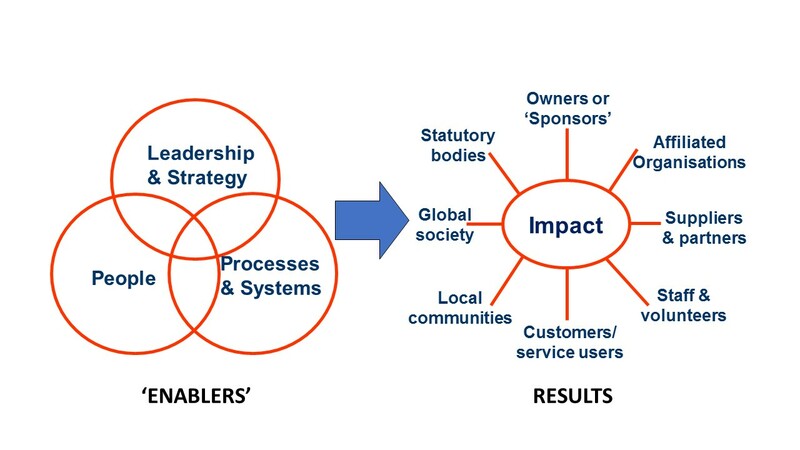 Check this against any improvement model you choose: EFQM Excellence Model, Balanced Scorecards, Lean, PQASSO (for the Third Sector), and now Impact Management. They may emphasise different aspects of the ‘theory of everything’ – social value for example focuses on non-profit results aspects. But they all fit with this overall way of thinking. So does that mean I’m against the Impact Management initiative? No, absolutely not. The medium is as important as the message, and I endorse any approach that helps get these concepts across. Different methods – languages if you like – appeal to different people, and we need a diversity of models and communication to engage diverse organisations. If Impact Management helps to drive change and improvement in the context of social value, then it has my full support.